Take One: The First Draft! So – first draft aka. the first official take of scripts. What I am sharing below are things I have learned as well as things I have tried and still trying. As I have probably mentioned countless times, I am neither a teacher or an expert, not quite a student either – somewhere in the middle. That being said, if you are looking for someone who constantly learns from others and experiments and writes scripts, you will be happy to know – you are in the right place. B) I would have accomplished what marathon runners accomplish by writing a ton of pages and while those ton of pages will probably lose most of its shine by the time I get to rewrite, the good news is I have a model, a skeleton to work with, and improve upon. Case-in-point, after I have dug into it enough, even if it’s not at its best, the one thing this draft will have – POTENTIAL. 1) Judging that the outline is fairly solid and what I have excites me enough to spend a month or two on it, it’s just a matter of going for it at this point. Start-to-finish. 2) While in the last few drafts, I haven’t bothered to look back until after I have finished, now I am thinking it’s a toss-up. If you notice there are real problems along the way while writing and if you can stifle your excitement to move on and promise yourself you are going to move on very quickly (like literally put a timer on to make sure you are going to move on and not overdo the fixing! ), you can stop the rush and solve the issue before moving forward. I say this on the verge of extreme caution, because it’s easy to stall while trying to work out a solution to the problem, sometimes days, even months. This has happened to me a few times. After I wrote the outline and sorted out index cards, I steamed right through it. I knew there were problems (especially in Act II) – but having waited a long time to just get writing this story, I decided I am going to zoom straight through it anyways. Now or never! Fast forward a few weeks and reading this draft – it’s not just terrible – it’s REALLY TERRIBLE. The good: I can fix this! The bad: it left me disillusioned because of all the problems I had left to fix. Conclusion? Deep down, I should have listened to that tiny voice in my head, my inner psychologist that nagged me and resolved those issues early on in the outline and prep. Oh and another thing: don’t just depend on your outline. I tend to go very detailed with these and get over-confident but the real test of getting the various parts of the story to work is actually writing the script – entering that world and experiencing your characters’ journey. No matter how seasoned a writer you are, I think every writer goes through this at some point… and even though I have written quite a few drafts now, I still ran into this situation – so it can happen to anyone. Now I have put aside the previous one to focus on a new project these last few weeks. I went over my outline again and I have gained a little more… enough confidence to say – “I can get through this story!”, but if I stumble with problems along the way, I will spend a set amount of time fixing them before heading on. Now you may ask, ‘how much prep is too much?’ It’s a question I am still trying to sort out. One thing I can tell you though: the more you write, the better your experience will be as a writer. Writing, ultimately is writing – so I have kept writing and I learn less from fretting with my mistakes and more from just resolving and learning from them. • Get the entire thing down as a screenplay, from start-to-finish. Beginning, middle, end. • I try to work without distractions during this period, not only to get through it as fast as possible but also to fully let myself enter the story universe and experience it. There is something about the first time you bring your main character to life that is incredibly special and unique. It’s important not to over-think those moments initially. • Start with a bang, revv up the engine with a great opening! But don’t just stop there – try and make every scene COUNT. Additionally: Try and set up all your main characters by the end of Act one. • I try to keep every scene exciting and meaningful in some way. Since it’s early stages, if I do get an idea I want to try, I throw it in and include it. I know I can always edit it out later if it doesn’t work – but at least I have it there to refer back to. Speaking of editing: The one rule I try to follow is not to edit myself too much along the way in the first draft, but keep going. Bad formatting? Too much description or dialogue? Not a problem…yet. Because you can tackle it in the rewrite. • I always keep another screenplay by a seasoned writer alongside – so that when I begin to slow down, I am reminded of where I am trying to go and what I am trying to achieve. • Act 1: I establish who my protagonist and characters are, his current story universe, plotpoint at the end of act 1 will end with the dilemma/crisis that the protagonist is about to face. • Act 2: I divide this act into two halves since it’s so long and it’s easy to get lost! The first half the protagonist is getting to know the new world, determining what the dilemma actually is and testing its water. The second half focuses more on finding his footing and preparing for his final role. Let’s recollect ‘Gladiator’ for example. Maximus loses his family and everything else in act 1, life thrown into complete disarray. Act 2, Maximus gets trained to be a gladiator, starts to find his purpose to live – revenge on Commodus and to do whatever it takes. 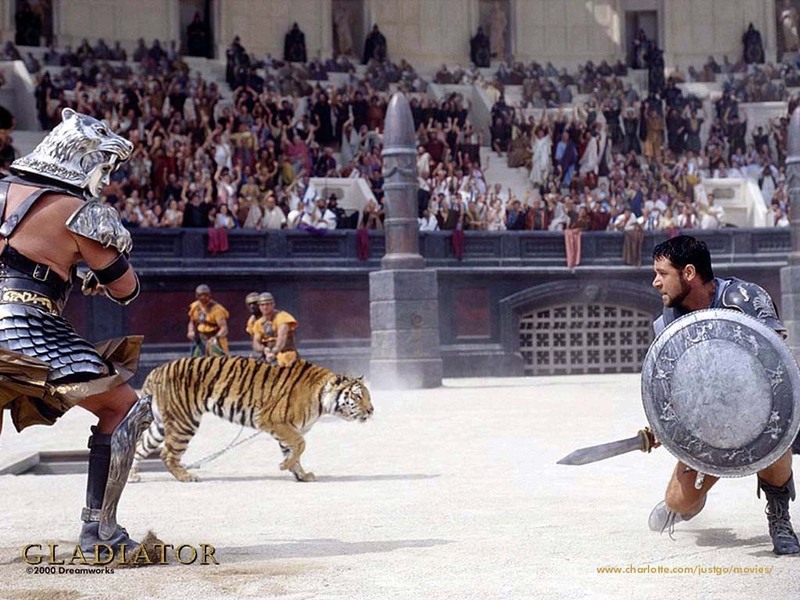 Act 3 he faces off with Commodus, kills him and even though he passes on in the end, he has achieved what he has set out to achieve. • Act 3: aka. the resolution. Does our hero get what he came for or doesn’t he? How does the story end? On a final note: I am currently halfway through another first draft as we speak, so if you guys are following, feel free to try these things along with me. And please – after you have written this draft, give it a break – don’t look at it for at least two weeks! See you all soon – should be posting again later this week! Next stop (going forward in real time): The First Rewrite! This entry was posted in Screenwriting. Bookmark the permalink.